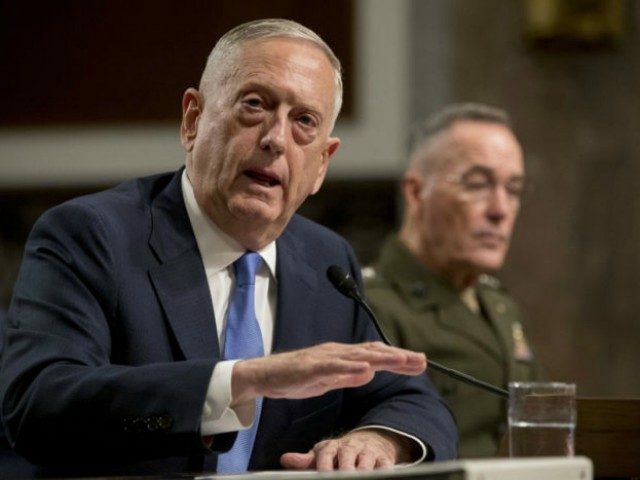 Defense Secretary James Mattis said Monday that the U.S. military should “stand ready” in case a military option is needed on North Korea. Mattis said the Trump administration was pursuing a diplomatic effort with North Korea, but the U.S. military can do its part by staying ready. “Ladies and gentlemen, it is right now a diplomatically-led, economically sanction-buttressed effort to try to turn North Korea off this path,” he said. “Now, what does the future hold? Neither you nor I can say. 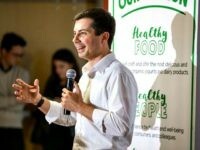 So there’s one thing the U.S. Army can do, and that is, you have got to be ready to ensure that we have military options that our president can employ, if needed,” he said. The U.S. has been pursuing a strategy of “maximum pressure” on North Korea, applying diplomatic and economic pressure multilaterally and unilaterally. It is also increasing pressure on China, North Korea’s closest ally. Trump has in recent days suggested that talking to North Korea was a “waste of time,” but officials later clarified that he meant at this point in time. North Korea’s nuclear weapons program has become the most urgent national security issue during the Trump presidency. This year, North Korea tested an intercontinental ballistic missile that could potentially reach the U.S. mainland, and the U.S. intelligence community assesses it has the technology to miniaturize a nuclear warhead atop it. U.S. military leaders say North Korea has all the components but has not demonstrated it can put them all together effectively. North Korea also conducted its sixth nuclear test this year, which it claims was a hydrogen bomb. Mattis—who has grown close with Secretary of State Rex Tillerson—has taken every opportunity to emphasize that the U.S. approach is diplomatically-led, but maintains the U.S. military has options if necessary. “We currently are in a diplomatically-led effort, and how many times did you see in the U.N. Security Council vote unanimously, now twice in a row, to impose stronger sanctions on North Korea? And remember, the Security Council has countries like France and Russia, China, the United States—you know who’s on there—and all voted unanimously on this,” he said Monday.